1814: Joseph Finegan who served as a General in the Confederate Army and was victorious at the Battle of Olustee is born in County Monaghan. 1930: Brian Lenihan born. Lenihan was a hugely popular Fianna Fail politician who served as Tánaiste, Minister for Foreign Affairs and Minister for Justice. Lenihan was famous for defending the indefensible whenever Fianna Fail was in trouble. Lenihan is one of many Irish who have been the subject of the very clever line “”like a lighthouse in the Bog of Allen, brilliant but useless”. He was defeated by Mary Robinson in the election for President of Ireland in 1990. 1940: Luke Kelly, beloved member of The Dubliners is born. 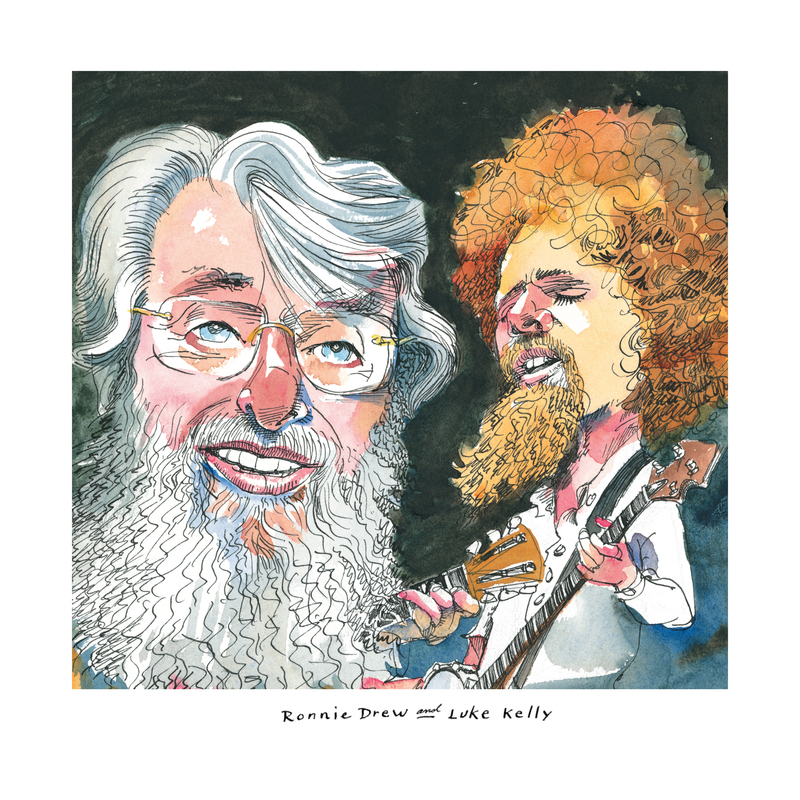 This image of Luke Kelly appears in For the Love of Being Irish. 1974: Erskine Childers, fourth President of Ireland, dies. In a lengthy and distinguished career as a TD, Childers role in cabinet included Minister for Posts and Telegraphs, Minister for Transport and Power and Minister for Health. His father Robert Erskine Childers was executed by Irish Government forces in the Civil War.